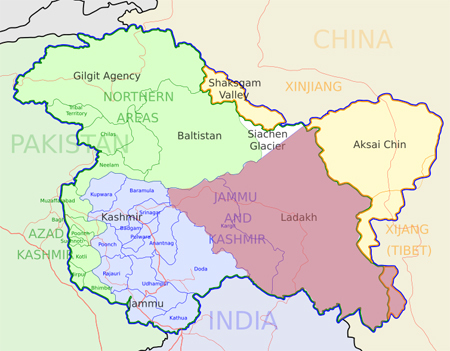 Between the Kunlun and Himalayan mountains, in the disputed territory of Jammu and Kashmir lies the kingdom of Ladakh. 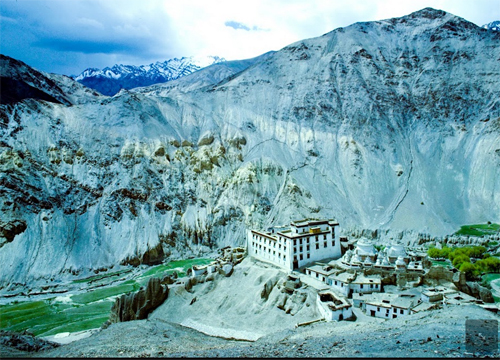 Its capital, Leh, was an important stop on the trade route between Buddhist Tibet to the east and Muslim Kashmir to the west. It was also important to merchants traveling between India and China. The region is famous for its mountain monasteries, which practice the Vajrayana sect of Mahayana Buddhism. 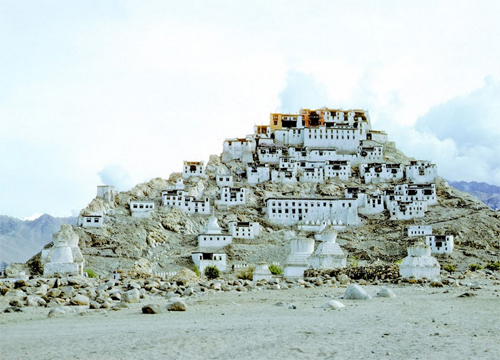 This picture of the Lumyaru Monastery between Leh and Srinagar, Kashmir was taken by Kevin Kelly. 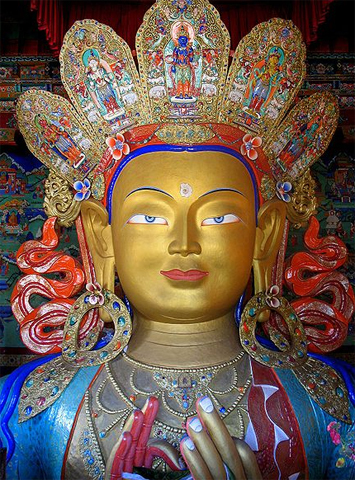 they have one of the most beautiful Maitreya Buddah statues in the world. 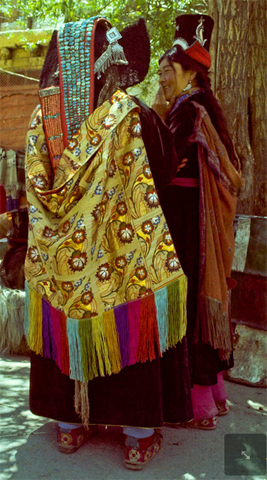 In the book, Ethnic Jewellery and Adornment , author Truus Daalder introduces us to two stunning headdresses from Ladakh. 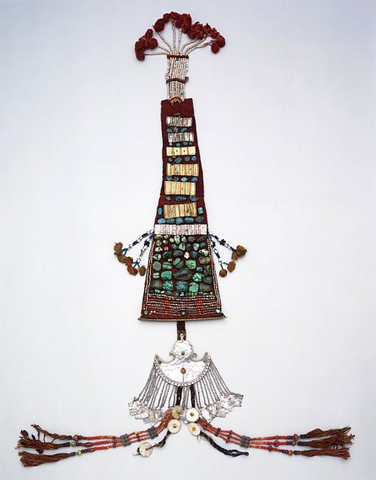 The second is “old and unusual woman’s headdress in the shape of a perak,” a leather strap studded with stones such as lapis lazuli and turquoise. The perak also displays amulets of Ladakh deities to protect the woman from danger in the human world. 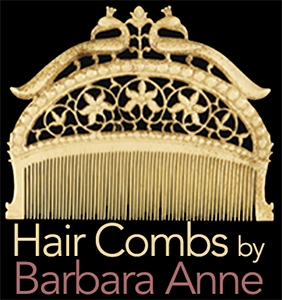 They were only worn by the aristocracy and women of high economic status. This perak resides in the Victoria and Albert Museum. Silver chains were only worn on special occasions. 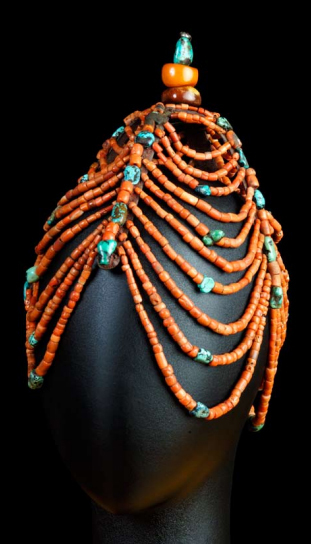 The stones on this headdress include turquoise, seed pearls, coral, and brass plaques representing the deities. 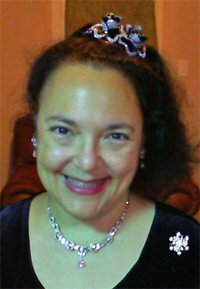 Here is an aristocratic woman wearing one.